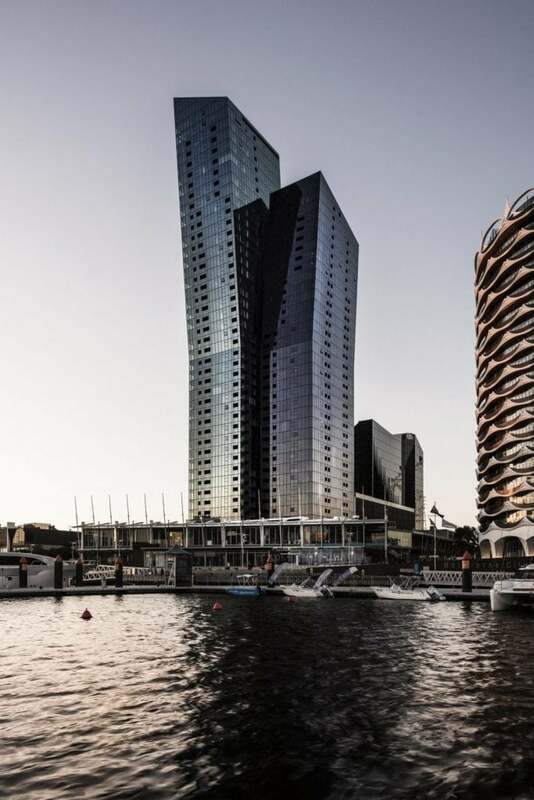 Located immediately adjacent to the Box Hill Train Station and Centro Shopping Centre, Sky One is a landmark glass tower designed to be Melbourne’s tallest suburban tower. 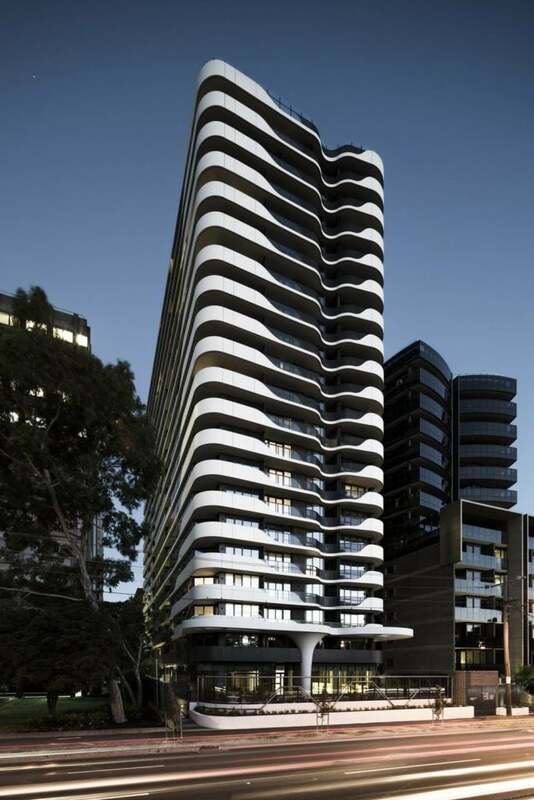 Significantly lifting the bar for Box Hill architecture, Sky One offers a unique combination of luxury apartment living and premium retail and dining – all in the pulsing heart of Box Hill. Its elegantly curved design and generous residential amenity, alongside a three-storey premium shopping and dining precinct and redefines retail architecture within Melbourne’s eastern suburbs, adding to an already buzzing street culture of Chinese food markets and traditional restaurants. This Golden Age Development is composed of a range of apartment sizes, from one bedroom apartments suitable for students, singles or couples wanting a convenient no fuss lifestyle, right through to spacious family-sized two and three bedroom apartments, plus penthouse apartments and sub-penthouse apartments, for those seeking the ultimate combination of luxury, space and convenience. 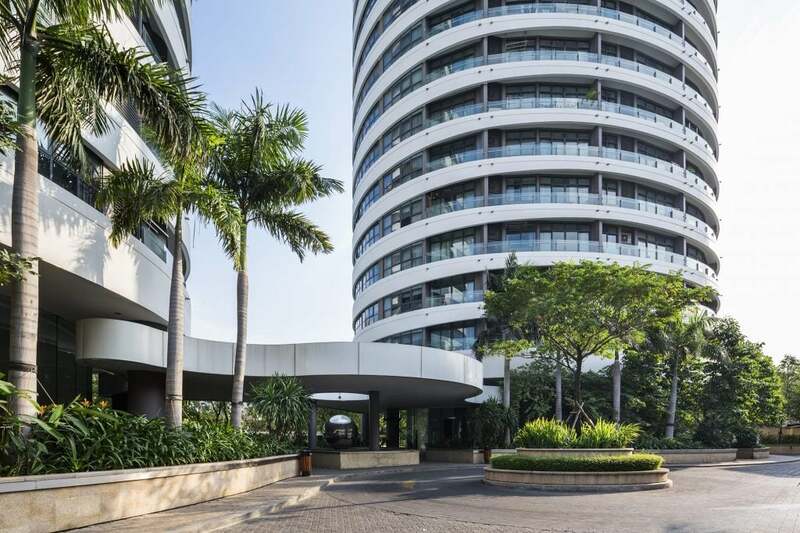 Sky One’s curved tower is home to 434 apartments, and includes communal areas that offer the perfect place to relax during the day, or just enjoy some fresh air and dinner after work in the evening. The Sky One residents club introduces further opportunities for comfortable social interaction, within a luxurious interior designed with a rich palette of plush velvets, lush planting, bespoke brass lighting and a grand stone open fireplace.